Asia and the Pacific Policy Studies is the journal of Crawford School of Public Policy. It is a peer-reviewed journal that targets research in policy studies in Australia, Asia and the Pacific. The resource curses plaguing Asia and the Pacific. Think of an anti-corruption body in Australia’s neighbourhood and you are almost certainly envisaging an organisation with the word ‘independent’ in its name. The model for many of these is Hong Kong’s Independent Commission Against Corruption (ICAC). But is independence the key to the success of anti-corruption bodies, or is autonomy more important? 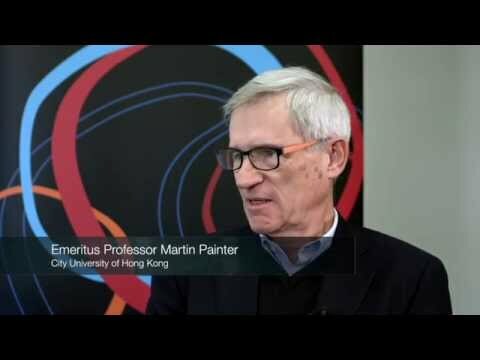 Emeritus Professor Martin Painter from the City University of Hong Kong, sat down this month with Dr Peter Larmour from Crawford School of Public Policy for a discussion around how anti-corruption bodies operate in Asia and the Pacific. “I think the notion of independence tends to stress freedom from interference by politicians or by other bureaucratic agents where I would rather stress the importance of capacity,” Painter said. “Autonomy has a more positive sense of the kind of things that need to be associated with a successful anti-corruption campaign; autonomy in a sense they can take direct action and follow up investigations and have the resources and the capacity to do that effectively. Given corruption among police forces, Painter said it was important to have a specialised body external to the police to investigate corruption. “One of the reasons that that agency needs autonomy is that they’re going to be in a fight, it’s going to be very dirty and bloody, and if the police in particular are one of the agencies it is fighting against it’ll need all the power and muscle that it can get,” he said. Taking key lessons from other established agencies and determining what about their success could be applied in other contexts was an important step for countries in the region, Painter said. “Where do you begin if you have a polity that has endemic corruption, whether it is within the elite or probably both within the elite and right down to street level?,” he said. “If you have an independent commission or some kind of powerful anti-corruption commission, I think the most important thing to do in that context is to set it up in a place and with resources that give it power and effectiveness, not worry about the niceties of judicial independence. “There is no point having that capacity in a location where it will be undermined. So for example in Hong Kong it was deliberately taken out of the police department for the very reason that in the police department it would have been undermined.